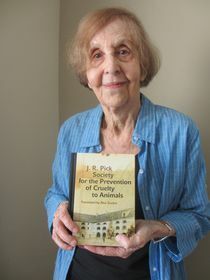 “Society for the Prevention of Cruelty to Animals” is a remarkable book by many standards. It is a comic novel set in the wartime Jewish ghetto in Terezín, written by the Czech satirist Jiří Robert Pick some twenty years after he survived the ghetto. The book is a classic, sparkling with life and humour, in defiance of the dehumanizing environment about which it was written. Thanks to J. R. Pick’s sister, the award-winning documentary film-maker Zuzana Justman, the book has just been published in English translation. 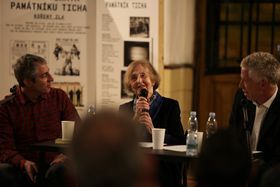 In a two-part special, Zuzana talks about the book and the ways in which both she and her brother dealt with their childhood memories of the Holocaust. She talks to David Vaughan. Tony, the hero of our story was neither smart nor stupid. When the Germans came, in 1939, he was eight years old. He imagined he was in store for an incredible adventure – getting hold of a gun, say, and shooting one of Hitler’s mustachioed aides-de-camp. Tony picture all of Hitler’s aides with mustaches like the Führer’s, but looking at photos of them he was disappointed to see that none of Hitler’s closest colleagues had a mustache, and no one ever gave him a gun either. Soon he was wearing a Star of David and attending a Jewish school. He wasn’t much of a student. He tried to explain it away by pointing out that he had transferred from another school, but no one listened, since all the students had transferred from other schools, and they all tried to use it as an excuse. When he was eleven, he and his mother, Liza, left for the ghetto. Tony quite liked it there. Like everybody else, of course, he assumed one day the war would end and everything would be fine again. For Tony, fine meant he could go the movies and eat hard-boiled eggs for supper at least two days a week. These are the opening few lines of the novel. The hero Tony is a few years younger than J. R. Pick, closer to the age of his sister Zuzana when they were sent to the ghetto, together with their parents. 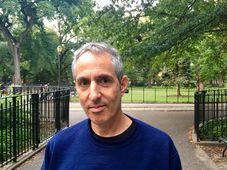 The book draws from their life in Terezín with an unsettling frankness and lightness of touch, and without a hint of euphemism or pathos. 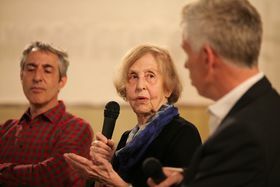 Alex Zucker, Zuzana Justman, David Vaughan, photo: Pavel Štingl Both Zuzana and Bobby, as she always called her brother, survived the ghetto. Bobby died in 1983 some fifteen years after writing “Society for the Prevention of Cruelty to Animals”, but Zuzana is still very much with us. She was recently in Prague to launch Alex Zucker’s new English translation, published by Karolinum Press. The launch took place at the Memorial of Silence at the railway station in Bubny, Prague 7. 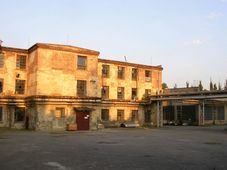 It was from here that Zuzana, her brother and their parents were sent to Terezín in 1943. After seventy-five years, the launch was a little victory over those who thought they could rewrite history through murder. In the next edition of the programme in two weeks’ time we’ll be talking about the book in more detail, but today Zuzana will be telling us about the lives that she and her brother led before, during and after the war. And satire was where he was at home. Otherwise, would you say that you were a fairly typical Prague middle-class family? … who perished in the Holocaust. When the occupation began, there were suddenly many restrictions on your family. And the next stage was that you were summoned to join a transport to Terezín, to the ghetto. … which probably saved your life. And he ended up spending most of the time you were in Terezín in the infirmary. So it’s virtually a miracle that he survived. … all of whom were Jewish prisoners in the ghetto. On the one hand there was a kind of everyday life, but always in the background there were the transports to the east. You never knew when you might be on a list to be sent to Auschwitz or one of the other camps. Your father was on one of those lists. And you never saw your father again. So you know what happened. With the liberation in May 1945, it must have been very difficult getting used to daily life in Prague again. And you still had your mother. With the communist takeover of 1948, the family was split again. You and your mother emigrated to Argentina. Your brother decided to stay here. Were you able to keep in touch? And you studied Slavonic philology? 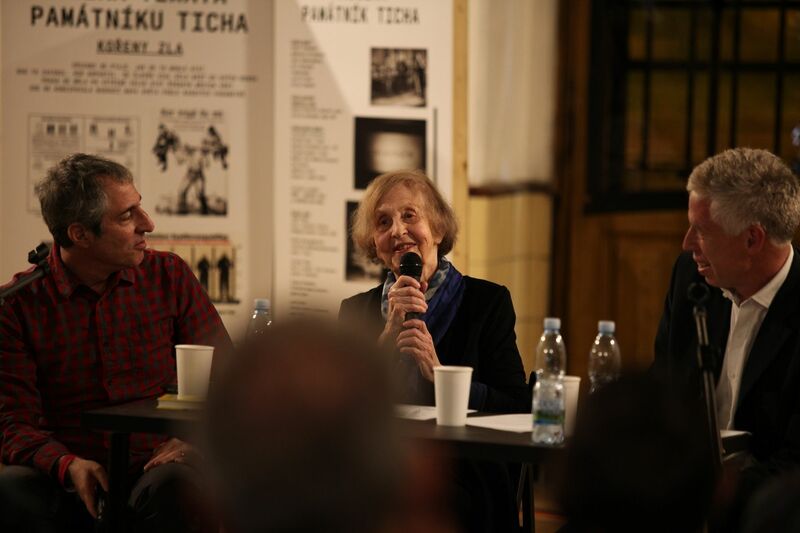 Through those years, you did not talk about the time that you had spent in Terezín. Was it something that you tried to put behind you? 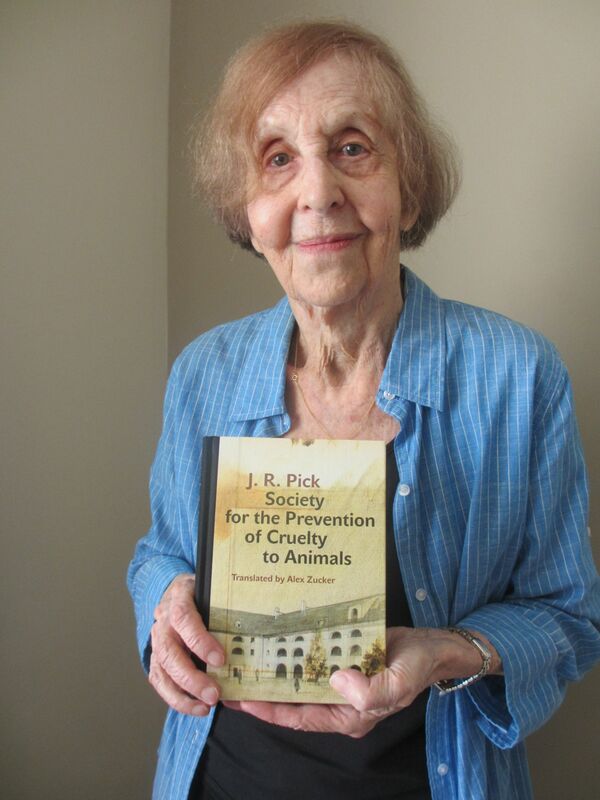 Yet both you and your brother later came back to the experiences that you had had in Terezín: your brother in the mid- to late-sixties wrote the book “Society for the Prevention of Cruelty to Animals”, which was published in 1969. 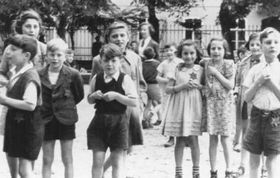 In the book he vividly evokes the atmosphere of Terezín for the young people who were imprisoned there. We’ll be hearing more from Zuzana Justman, about how she and her brother gradually came to work through the traumas of their past in the next edition of Czech Books, in two weeks’ time.